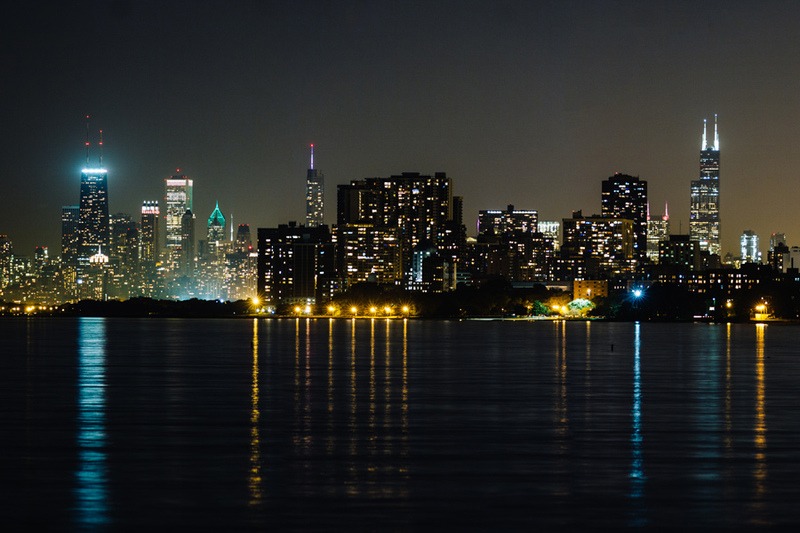 The Chicago skyline. Three candidates for mayor of Chicago have been involved in controversies in the final weeks of their campaigns. With the Chicago mayoral election only weeks away, multiple candidates running for office have faced new controversies in the home stretch. Amara Enyia, Toni Preckwinkle and Susana Mendoza — three of the 14 candidates currently running for mayor — have all been subjects of headlines this week exposing disparities in campaign messages they’ve spread individually. Candidates will face elections on Feb. 26, and a runoff election will take place April 2 if no candidate wins the majority of the vote in the general election. Enyia’s campaign has emphasized her background as a competitive runner. Until Monday, her website said she completed an Ironman, a triathlon comprised of a 2.4-mile swim, a 112-mile bike and a marathon. But the organization Marathon Investigation challenged this claim, saying that Enyia had not competed in an Ironman-branded triathlon, but rather a half-triathlon, according to the Chicago Sun-Times. A recent campaign ad for Preckwinkle stressed her background as an educator serving “hundreds of CPS students” as a teacher. However, the Chicago Tribune reported that Preckwinkle only worked in Chicago Public Schools part-time for a year, and the rest of her 10-year teaching career was at Catholic and Montessori schools. Illinois comptroller Mendoza has been linked to a federal civil lawsuit in Pennsylvania, WBEZ reported on Monday. The lawsuit involves “front companies” connected to Chicago Ald. Danny Solis (25th) that have profited off of an arrangement with the state, according to WBEZ. Mendoza received campaign contributions from these companies in 2018, though she returned the donations to the firm, WBEZ added. “The comptroller’s office is not required to know about any lawsuit brought against a state vendor before processing a payment to that vendor, nor can it stop a payment because of such a lawsuit,” a spokesman for Mendoza said in a written statement to WBEZ.